The Left Handed Kachina or Siyangephoya has overcome many challenges because he is left-handed. 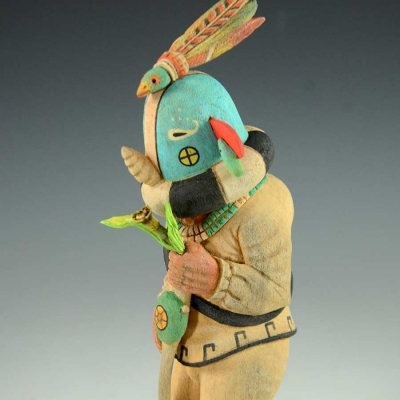 His gear is reversed causing him to use his right hand to draw an arrow or to shoot his bow rather than his left, which is normal for other Kachinas. Despite this, he is an excellent hunter. Doll Height is 9"~Total Height is 10"